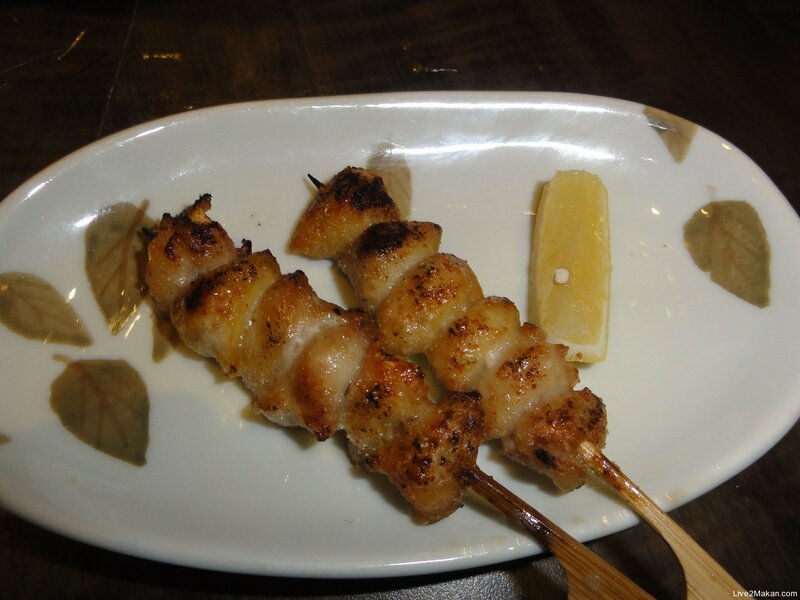 Yakitori bar is a favourite destination for a quick after-work bite and drink with its bite-size skewers of delicious food and a selection of sake and shochu. 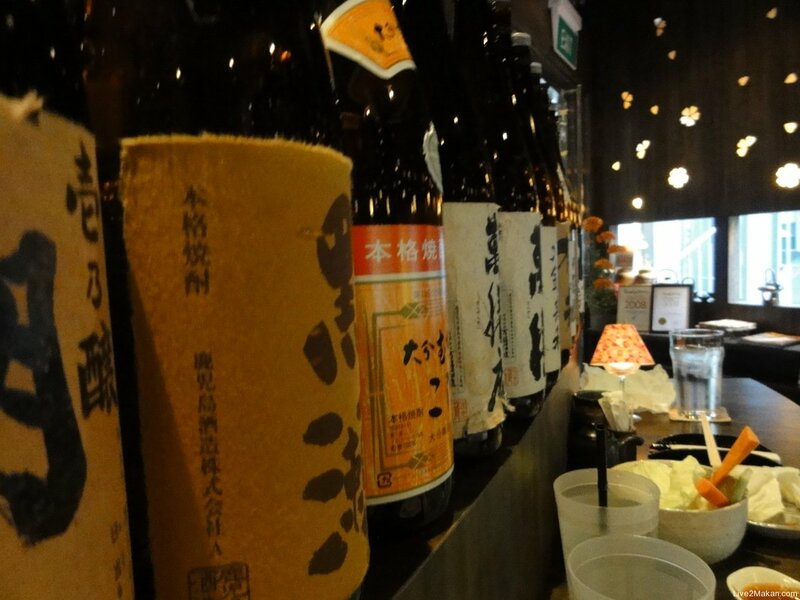 The beginning in Singapore started with a few eateries in Little Tokyo (Cuppage Centre), with the oldest a chicken-only Yakitori bar, and later Kazu. Then, more sprung up, like Satsuma Shochu @ Gallery Hotel. 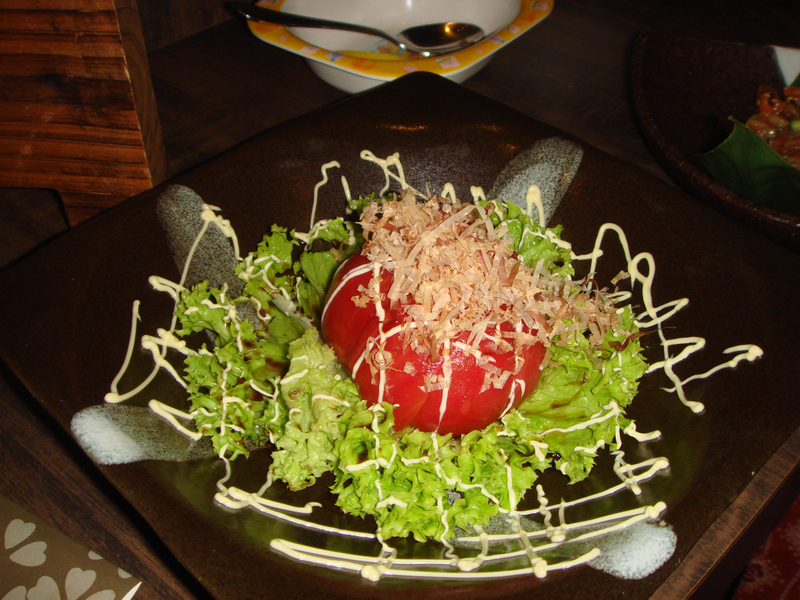 The meal started with a simple raw cabbage with miso paste. 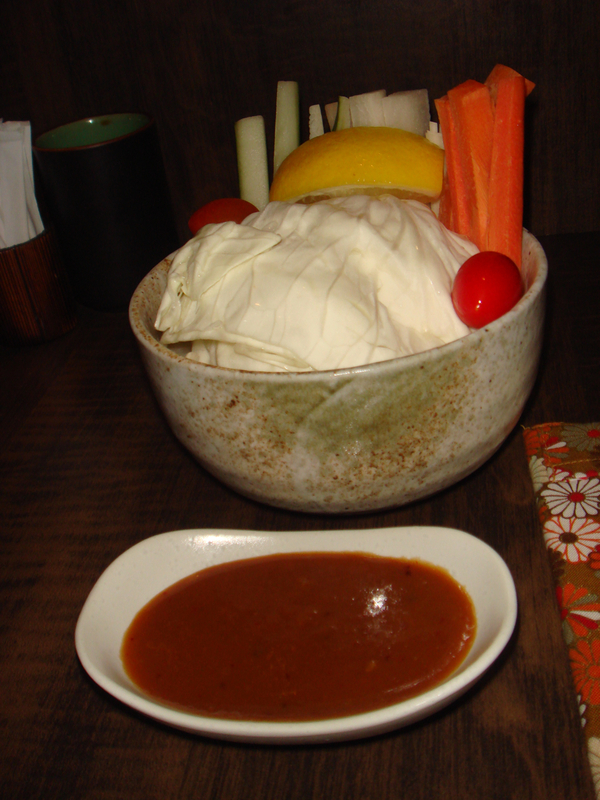 The cabbage was sweet and when dipped in the savoury salty miso paste made it a great appetiser. 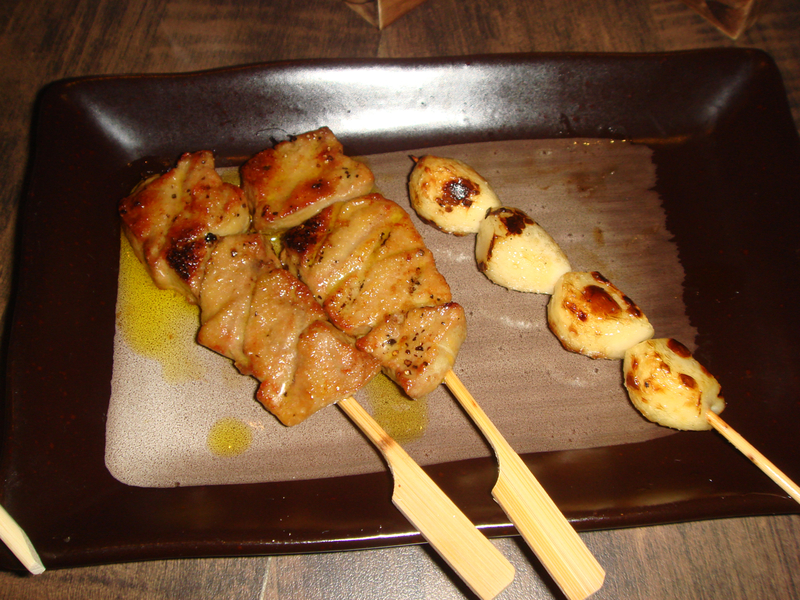 As this is also a Shochu Bar, the menu included many items to let you share food like an Izakaya. 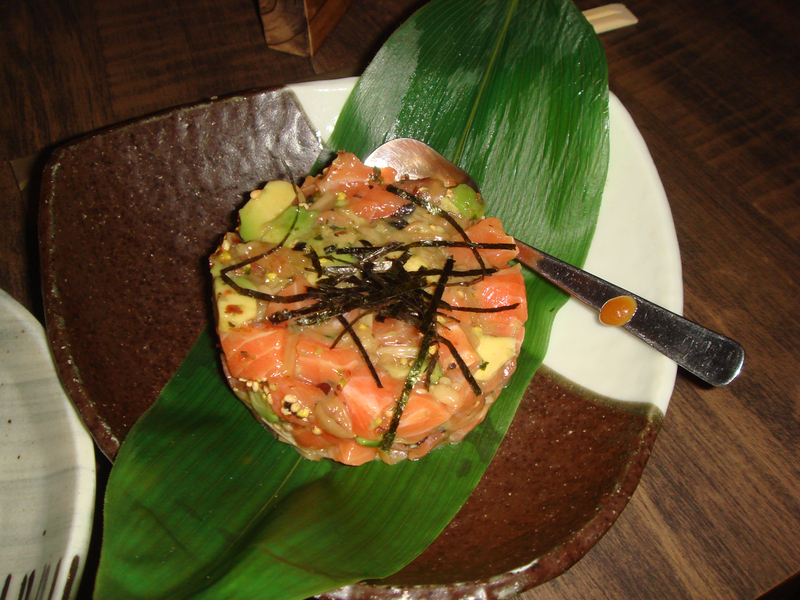 Simple Shochu bar dishes like a Marinated Fruit Tomato with simple mayo dressing, and Salmon Tartare with Avocado, and my favourite, the cold tofu with marinated Squid allowed you to have a quick drink before the main Yakitori dishes. Of course you are spoiled for choice in terms of Shochu and Sake in this place. 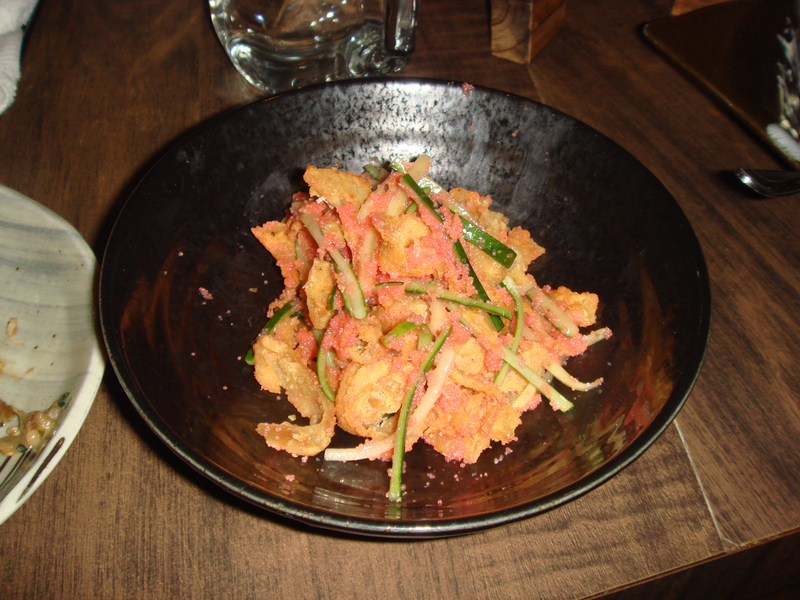 My suggestion – go with something dry as it will go well with these dishes. Most of the drinks are available in carafe, but some need to be bought by the bottle. 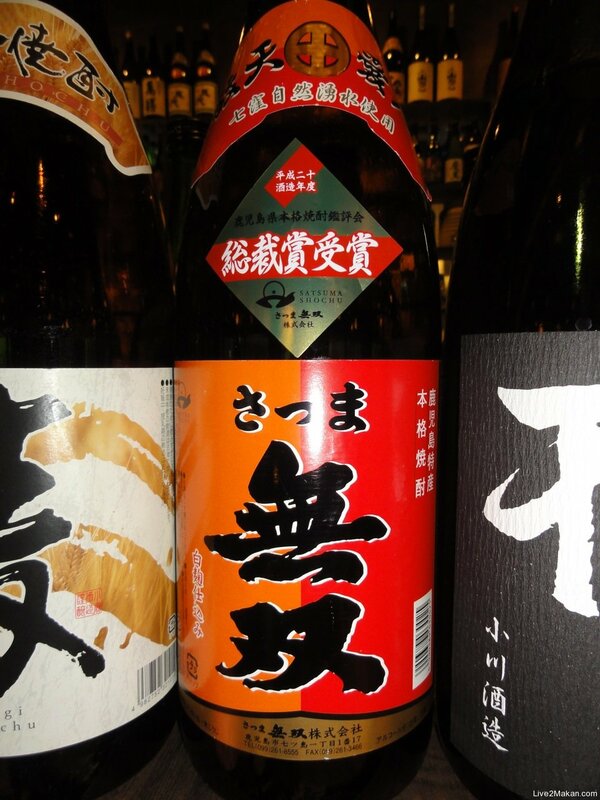 You can keep the bottle there if you cannot finished it at a go, but there’s a time limit (and a taste limit as sakes and shochu like wine do not survive when opened and exposed to air). 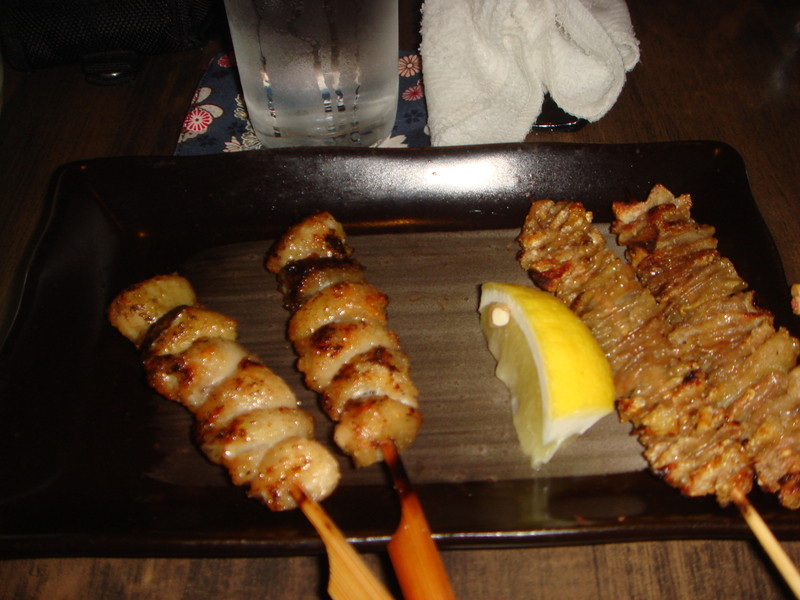 After a few drinks, the main Yakitori dishes are served. First in the series, the chicken dishes. 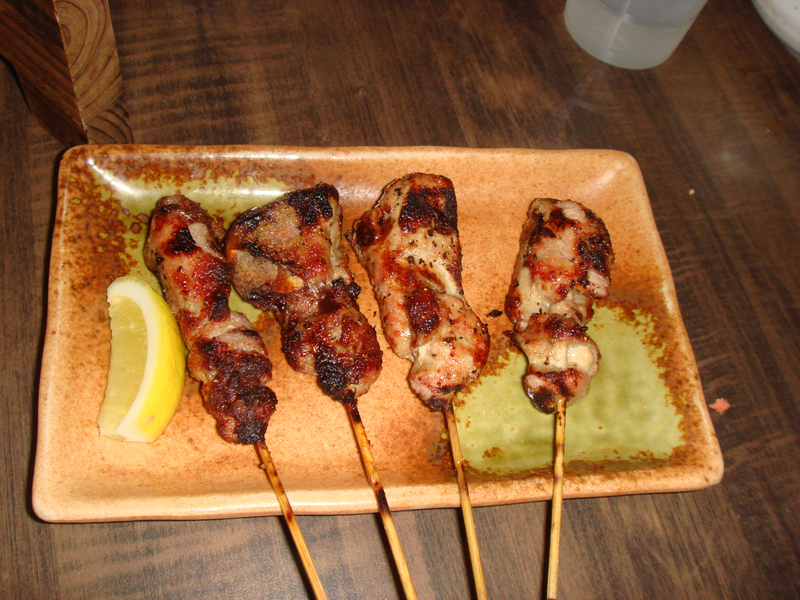 All the parts of the chicken were used and grilled to perfection. You wished that chicken wings tasted this good at your own BBQ. 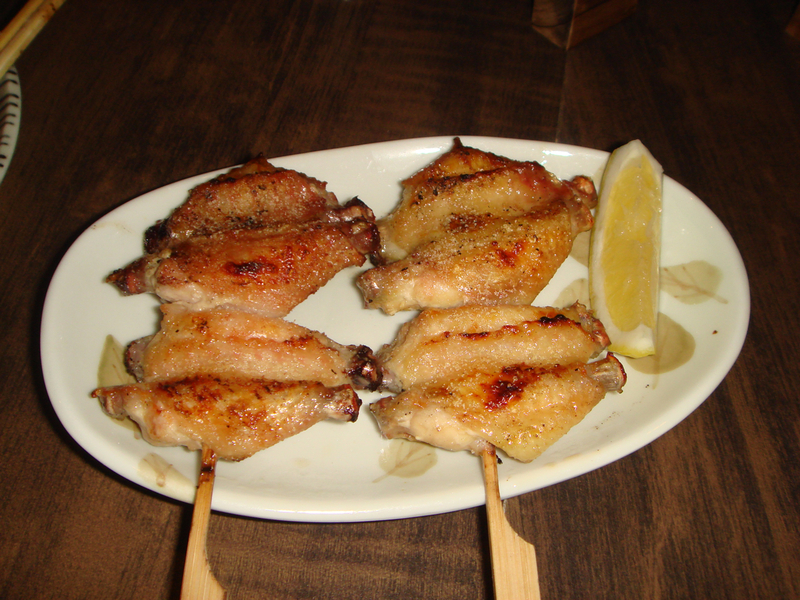 There is no marinate – only simple Sea Salt and a meticulous grilling technique to keep the wing moist yet crispy at the same time. 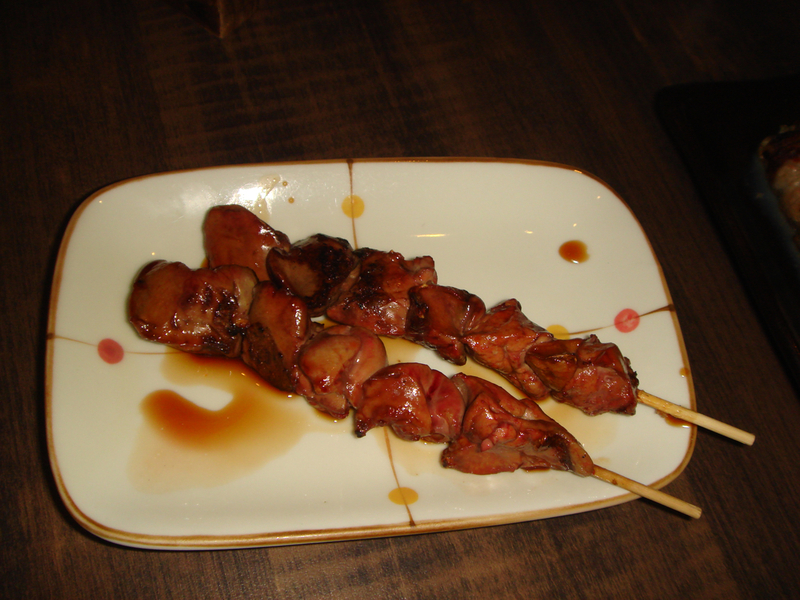 The innards were done either with salt or with a teriyaki sauce. 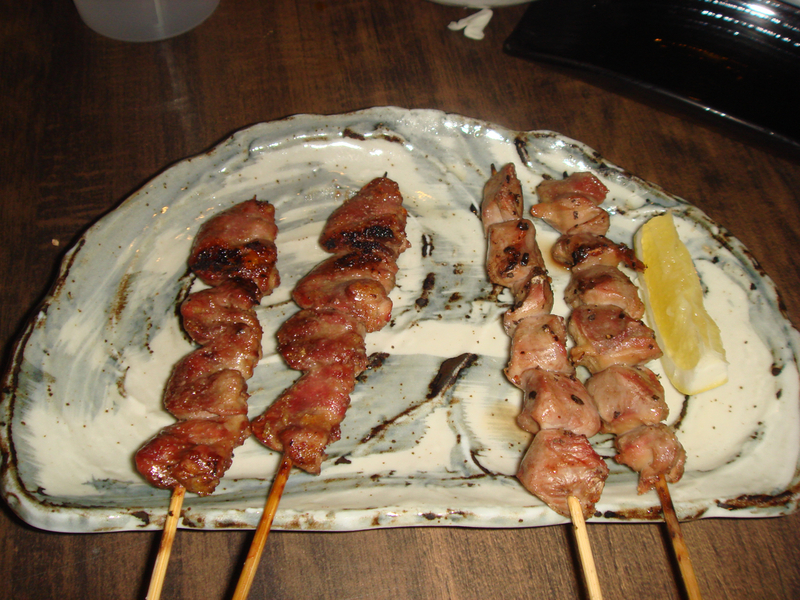 The chicken heart and liver were given the teriyaki treatment, while the gizzards were grilled naked with salt. Even the skin and cartilage were not wasted. Chicken skin grilled to crispy was the girls favourite, but those with a high HLH need to beware of the trans-fat on these things. However I can eat all the cartilage I wanted as it is 0 cholesterol and crunchy as well. 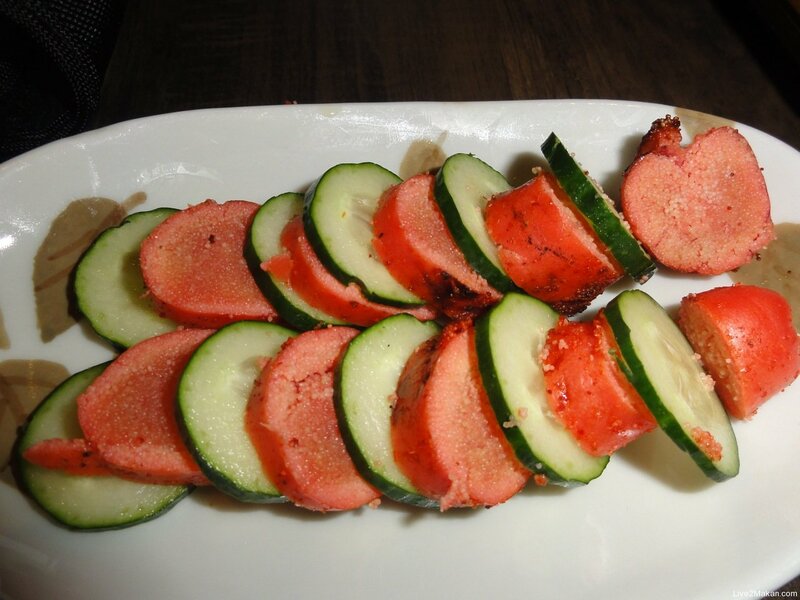 After all the chicken, you would need some vegetable to clear the palate. 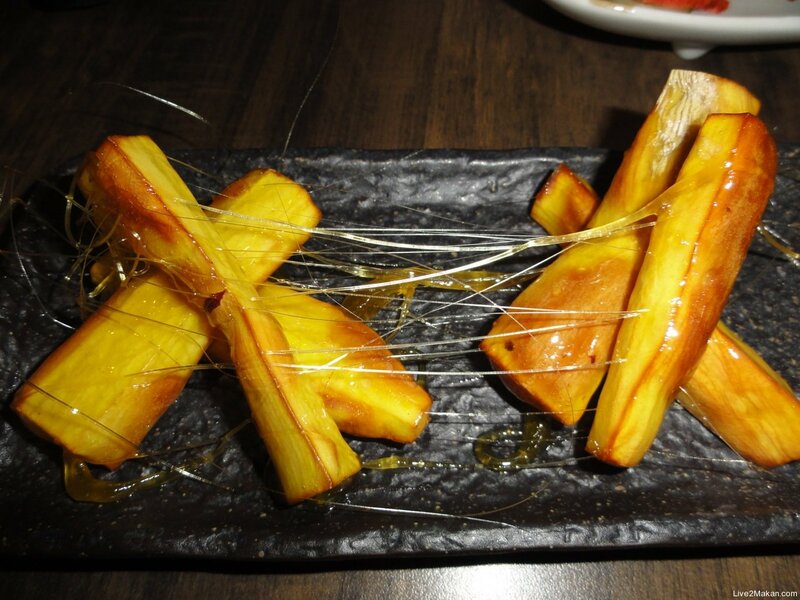 Of course I don’t recommend to start with candied sweet potato. 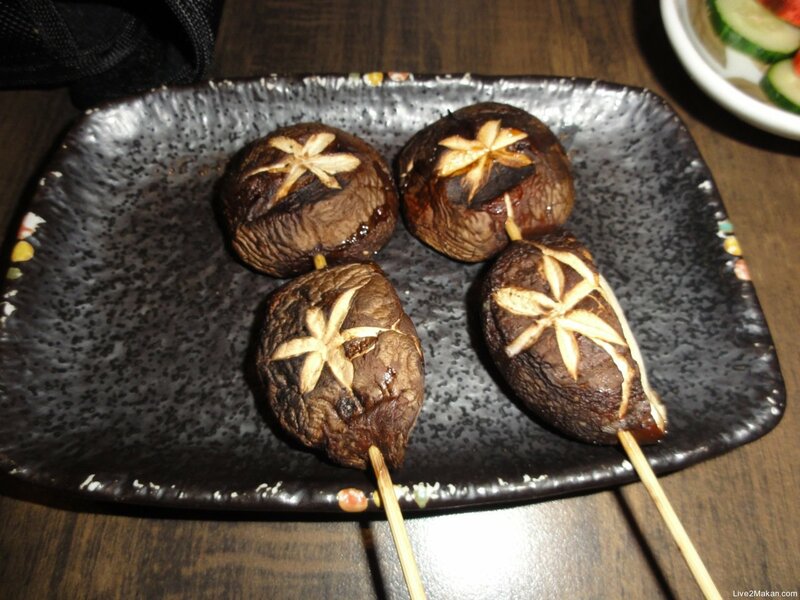 But grilled mushrooms would give quick reprieve from the meat. 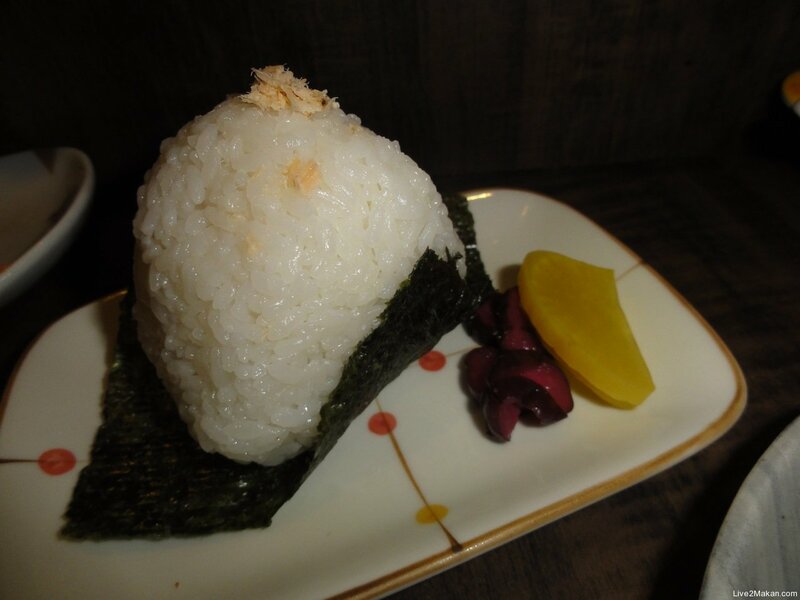 And if you need some starch, a Onigiri will be in order. 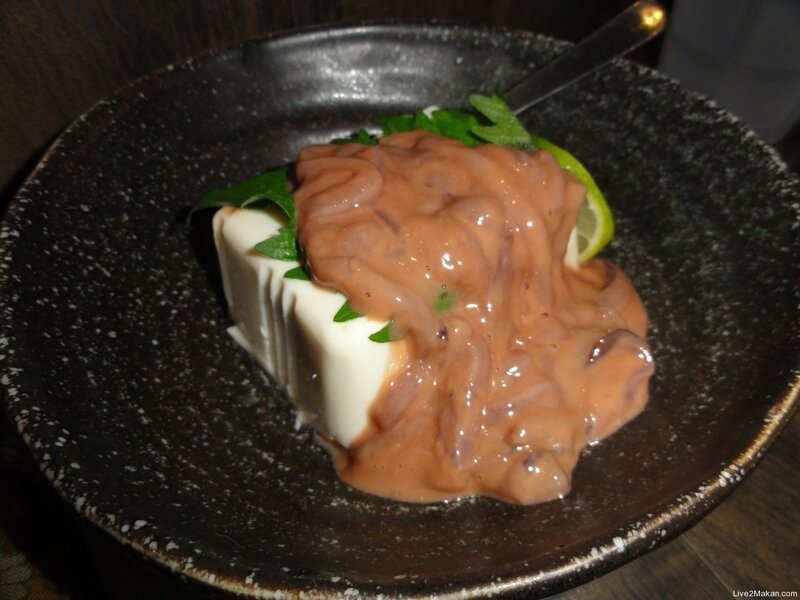 Mentaiko is a spicy marinated fish roe that is fantastic when grilled. It went very well with the dry sake we were having that evening. 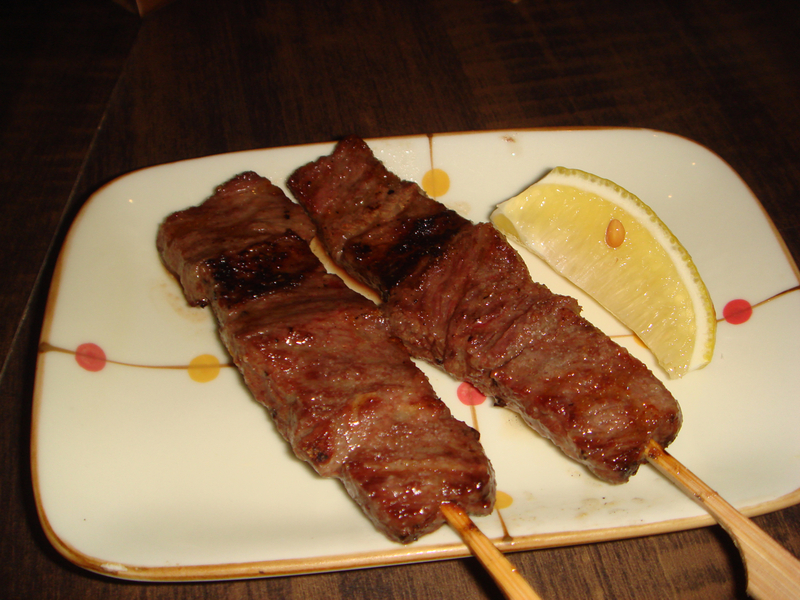 Of course, Yakiniku may not be just chicken. 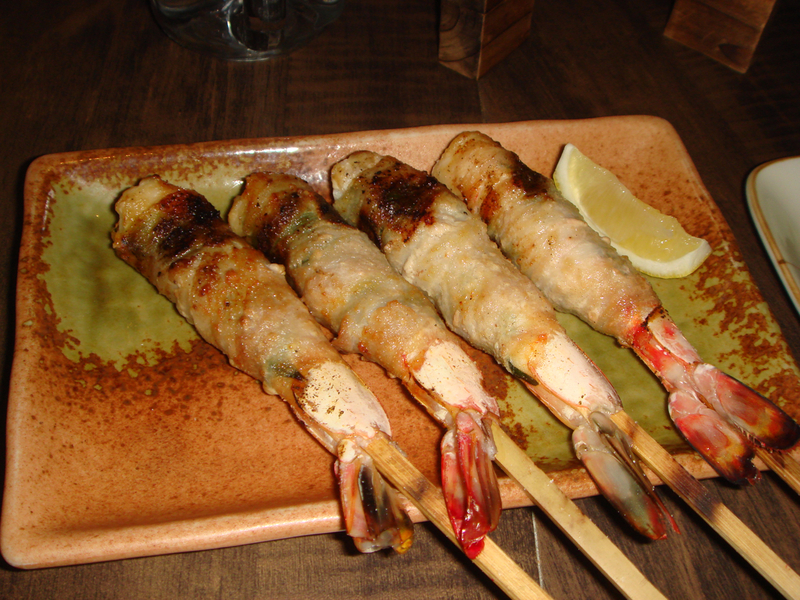 Other classics included pork belly, prawn with bacon. 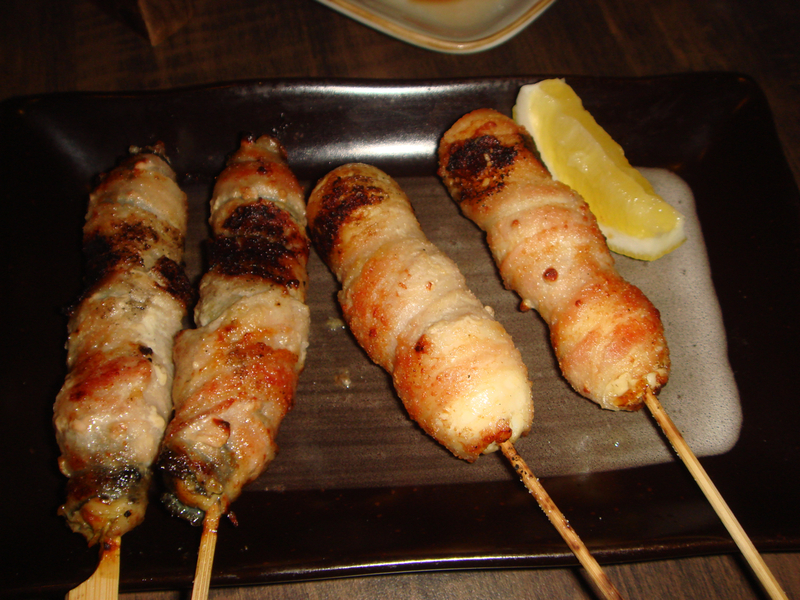 enoki with bacon, you get the drift. You need an oily meat to complement a not-so-oily sidekick. 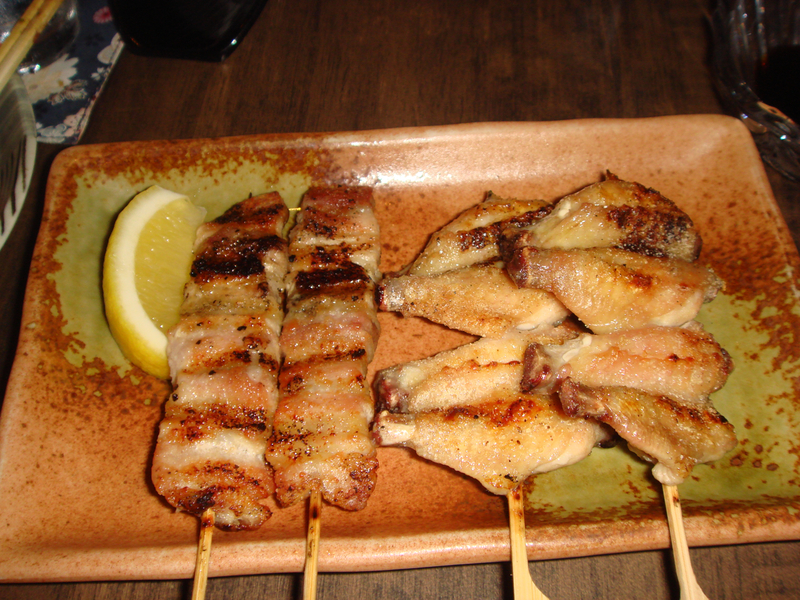 So you can also have quail eggs, leek and other fillings with either bacon or pork belly. 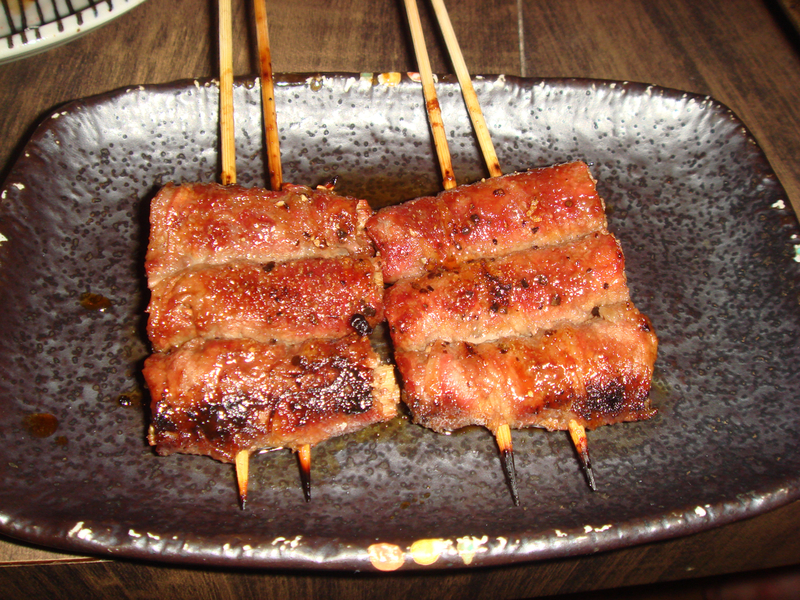 Another thing you should not miss is Gyu tongue – it may sound weird, but grilled tongue when done right is another piece of 0 cholesterol flavourful meat. 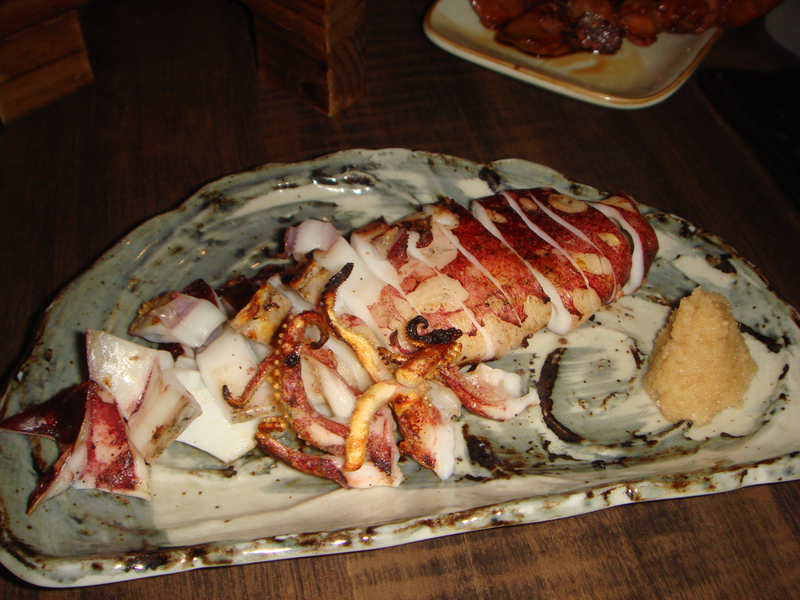 The staff were friendly and not in a rush to get you out of the place – they made their money if you drink more as the Yakiniku dishes are typically $3-$12 depending on what you ordered. Be prepared to spend around $50 pax on food, but drinks will be entirely up to your budget. Drink moderately, and please don’t drink and drive. There are 2 storeys, the ground floor is smaller with the bar counter, the second is the main dining hall and the grilling action. I like the ground floor for it’s quiet cosy feeling. But if you are in a big group, you can only fit upstairs.